In February this year, whilst I was on a work trip to Switzerland, I visited the Château de Chillon near Montreaux, on the easternmost shore of Lake Geneva. 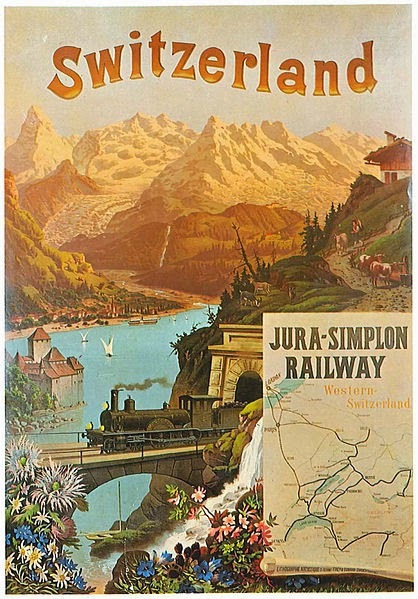 The castle is one of the most famous and picturesque sites in Switzerland, the idyllic subject of many a wistful tourist picture-postcard, yet its long history makes for a fascinating study of kaleidoscopic historical and literary perceptions. Its current idyllic symbolism and almost Disney-like beauty belies a very bloody history, such that writers from earlier eras once described the imposing ‘Bastille’-like edifice as dark, oppressive, and ugly. The castle is thought to be over a thousand years old, with traces of human occupation on the rocky islet upon which the castle is built dating back to the Bronze Age – as demonstrated by excavations carried out from the late 19th century by the archaeologist, Albert Naef (1862-1936). The oldest written mention of the castle dates from 1150. The castle’s history is now divided into three important periods: the Savoy era (12thcentury to 1536); the Bernese era (1536-1798); and, the Vaudois era (1798-present). For much of its existence the castle was maintained as a fortress, arsenal, and prison. It was decommissioned in the 19thcentury, since when it has been preserved as a historic monument. Set beneath a steep cliff, isolated on a rocky island which it occupies entirely and reached by a single wooden bridge, the castle with its tall imposing walls is a formidable mix of round and square towers topped by red tiled roofs. With the aid of an excellent leaflet given to you when you pay at the entrance gate it’s possible to explore the entire castle by yourself and get an understanding of the original functions of each of the rooms and galleries within. The building is fabulously atmospheric, from the dank chilly airs of the lake-level store rooms and dungeon up to the fresh airy heights of the central tower (which one ascends via a series of creaking wooden staircases that rather reminded me of those in the central tower of Himeji castle in Japan). Unsurprisingly, the castle has been the subject of much artistic and literary interest over the centuries. 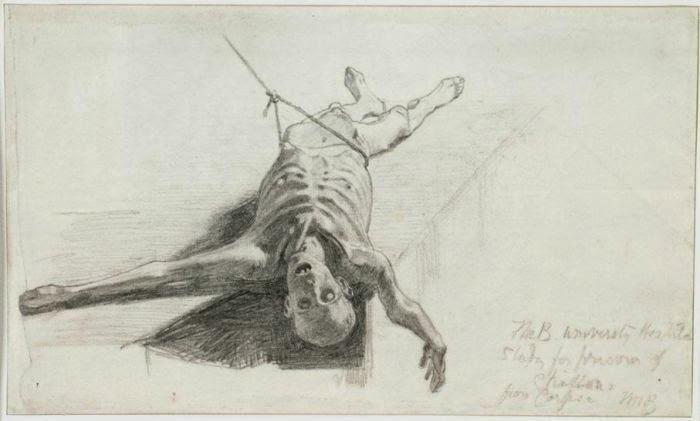 Notable from the sketches, prints, and paintings of artists such as J.M.W. Turner (1775-1851) and Ford Madox Brown (1821-1893), as well as the writings of the English Regicide, Edmund Ludlow (c.1617-1692), and the philosopher Jean-Jacques Rousseau (1712-1778) onwards. The castle is perhaps best known by the poem The Prisoner of Chillon written by Lord Byron (1788-1824) after he visited the castle in 1816. The Prisoner of Chillon is actually a pair of poems (a sonnet and a longer narrative poem or ‘fable’) in which Byron recounts, and rather embellishes, the story of the castle’s most famous captive – François Bonivard (1493-1570). Bonivard was the Prior of Saint-Victor in Geneva and a republican opposed to Charles III of Savoy’s attempts to take Geneva. He was captured in 1530 and held captive at Chillon until 1536. 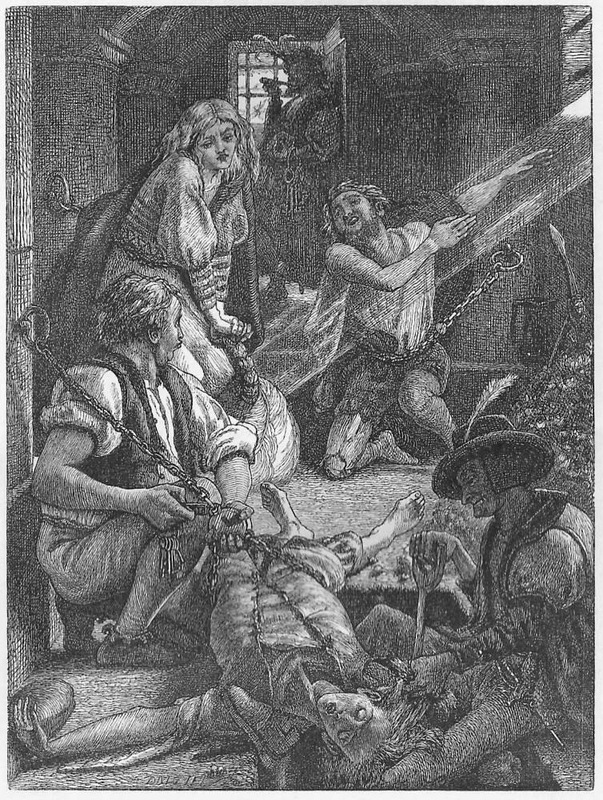 For the first two years of his captivity he was held in comfort in the upper rooms of the castle, but spent the remaining four in chains in the castle’s dungeon, where he is renowned to have worn down the stone floor in pacing about one of the pillars to which he was shackled. He was eventually liberated when the castle was successfully besieged by the Bernese and Genovese, and returning to the newly Protestant Geneva he was made a member of the governing Council of Two Hundred. The pillars of Bonnivard’s dungeon are all inscribed with numerous names both famous and obscure from different dates. One of these is that of Byron himself, now neatly framed, although some doubt has been cast as to whether the poet himself actually cut it into the stone or whether it was done by a later hand once his poem had been published and become a phenomenal success. Either way it was of interest to me as I recall seeing Bryon’s name scored into the old school room at Harrow (my home town) when I visited on a school trip when I was about 11 or 12 years old – and, if my memory serves me well, the two graffitios do look rather alike (?). 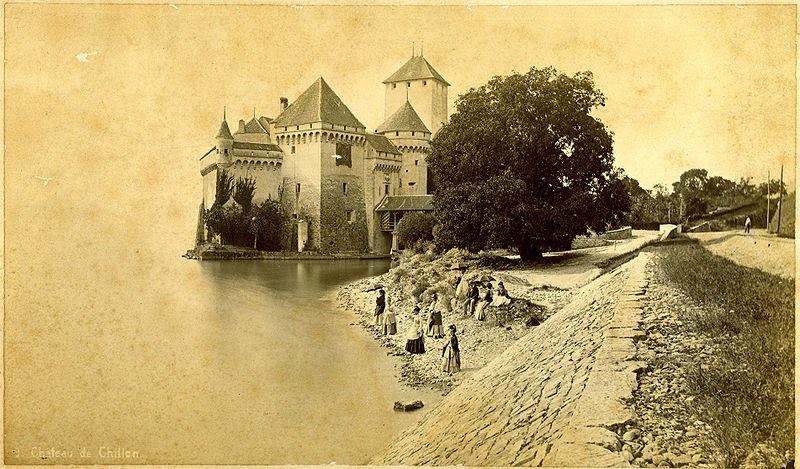 Later writers who visited the castle took a less romantic view and have left accounts which seem to seek to debunk or demythologise Chillon. Writing in 1833 John Ruskin (1819-1900) in particular sought to pick some very pedantic holes in Byron’s poetic tropes: “ ‘So far the fathom line was sent’ – Why fathom line? All lines for sounding are not fathom lines. If the lake was ever sounded from Chillon, it was probably sounded in metres, not fathoms.” (Zzzzz … I, for one, have never been able to get very far into anything written by John Ruskin!). Other writers were still even less impressed with the place itself. Writing in his diary whilst staying at the Hotel de Byron in Villeneuve on June 12th 1859, Nathaniel Hawthorne (1804-1864) observed: “The castle is terribly in need of a pedestal; if its site were elevated to a height equal to its own, it would make a far better appearance.” Given its waterside setting he then compares the castle to “an old whitewashed factory or mill.” Perhaps Neuschwanstein Castle in Germany would have been more to his liking? Hawthorne’s fellow countryman, Mark Twain (1835-1910), typically took a somewhat more wry or nuanced view: “I had always had a deep and reverent compassion for the sufferings of the ‘prisoner of Chillon,’ whose story Byron has told in such moving verse, so I took the steamer and made pilgrimage to the dungeons of the Castle of Chillon, to see the place where poor Bonivard endured his dreary captivity 300 years ago. I am glad I did that, for it took away some of the pain I was feeling on the prisoner’s account. His dungeon was a nice, cool, roomy place, and I cannot see why he should have been so dissatisfied with it … He surely could not have had a very cheerless time of it in that pretty dungeon. It has romantic window-slits that let in generous bars of light, and it has tall, noble columns, carved apparently from the living rock; and what is more, they are written all over with thousands of names, some of them, – like Bryon’s and Victor Hugo’s, – of the first celebrity. Why didn’t he amuse himself reading these names? Then there are the couriers and tourists – swarms of them every day – what was there to hinder him from having a good time with them? I think Bonivard’s sufferings have been overrated.” (Mark Twain, A Tramp Abroad, 1880). I suppose everyone takes their own view of a place particular to themselves and perhaps their time. For me Chillon is a beautiful and fascinating place, sublimely atmospheric, rich in literary and historic ambience. 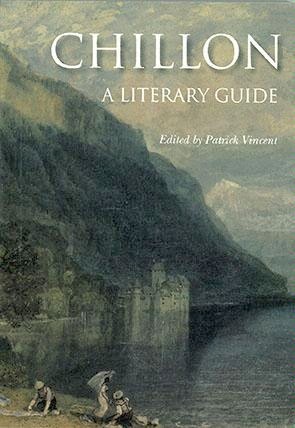 And, for anyone of inclinations similar to mine, I recommend Patrick Vincent’s excellent pocket-sized Chillon: A Literary Guide as the perfect exploring companion.